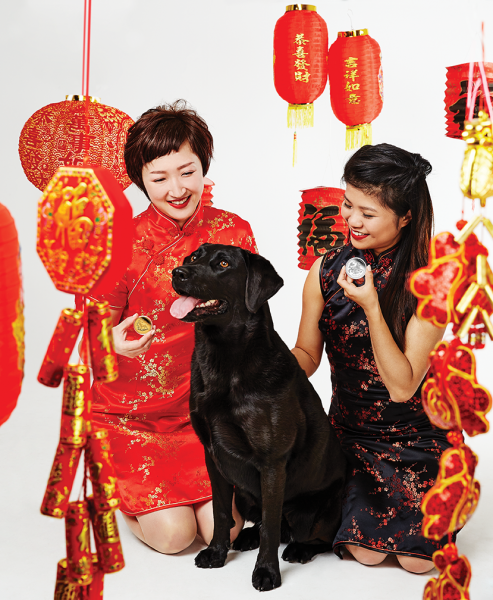 Everybody loves man’s best friend and to celebrate the 2018 Year of the Dog, Perth Mint has just released the latest designs in the Australian Lunar Series II Bullion Gold and Silver Coins. According to legend, the order of the animals in Chinese astrology was determined by their race across a river. Unknown to the ox, the mouse hitched a ride on its back, leaping to victory at the very last second. The tiger, rabbit, dragon, snake, horse, goat, monkey, rooster, dog and pig followed the quick-thinking mouse and the flabbergasted ox to dry land. In Chinese culture, each animal is believed to influence the personality of the people born under its ‘rule’. The dog is the eleventh animal in the 12-year cycle of the Chinese zodiac, and include 1934, 1946, 1958, 1970, 1982, 1994, 2006, 2018. People born under the influence of the dog are said to be good-natured, loyal, kind, and sincere. Faithful to those that they love, and will do anything for friends and family. Famous people born in the Year of the Dog include Vince Vaughan (1970), Madonna (1958), Bill Clinton (1946), and Winston Churchill (1874). Available mid-September in a range of sizes. The coins are meticulously struck from 99.99% pure gold in bullion quality and issued as legal tender under the Australian Currency Act 1965. The 1oz coins will be limited mintage and therefore popular for collectors as well as excellent investment options. Available mid-September in a range of sizes. The coins are meticulously struck from 99.99% pure silver in bullion quality and issued as legal tender under the Australian Currency Act 1965. The 1oz coins will be limited mintage and therefore popular for collectors as well as excellent investment options.